Who says crayons are just for coloring? Our bright and cheerful crayon slide will attract artists and fun-lovers alike. This inflatable slide is accessed from the large front. Children have just as much fun climbing up the big bumpy steps as they do sliding down! 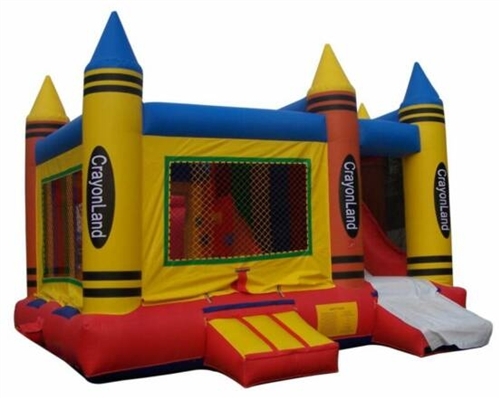 A sturdy, inflatable slide for all ages.